Thomas W. Kidd, Jr. graduated Phi Beta Kappa from Miami in 1992 with a degree in Political Science. Having decided that elected office wasn’t soon in the cards and wanting to practice law in Ohio, he continued his education and graduated from the Ohio State University Moritz College of Law in 1996. He passed the bar and started practicing law that same year. He entered private practice in 2004. As a former assistant prosecuting attorney with crucial experience prosecuting adult felony and misdemeanor crimes as well as juvenile delinquencies, he immediately began defending those accused of crimes to guarantee their rights under the Constitution. Tom is especially proud of his work that he has done with Alliance Defending Freedom (ADF) and the Home School Legal Defense Association (HSLDA). He is an Honor Corps member of ADF and Ohio’s local counsel for HSLDA. 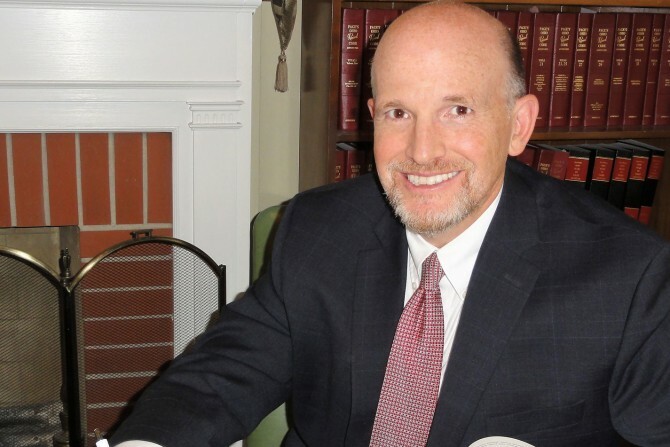 He is a member of the Ohio Association of Criminal Defense Lawyers, the Christian Legal Society, the Warren County Bar Association, and the Ohio State Bar Association. Tom loves Ohio, especially SW Ohio. With his earliest childhood memories revolving around the Big Red Machine, he continues to convince his two youngest boys (8 and 5 years old) to wear the great numbers of those 75/76 Reds. Numbers that might just be 5, 8, and 14 to those two boys, but to Tom recall the great exploits of Bench, Morgan, and Rose! Tom lives on a hobby farm with his lovely and talented wife. On their farm, they have raised chickens, pigs, and six children In his free time, he enjoys discussing theology, following politics, and rooting on the Reds and Buckeyes. Admitted to practice in State (Common Pleas and Municipal) and Federal Courts in the state of Ohio, but most frequently practices law in the following counties: Warren, Butler, Hamilton, Clermont, Greene, and Montgomery and the cities of Cincinnati, Mason, West Chester, Dayton, and Middletown.